Roses on West cottage was built in 2007 replicating the old colonial style of the mid 1800's but because it is a recent build it affords all that is good about todays construction but has the ambience of a past era i.e high ceilings, sash windows etc. The cottage has established gardens such as box hedging and roses, several camilla's and other flowering shrubs also high hedging offers you a private setting for outdoor activities. The early morning sun streams into the fully equipped spacious kitchen as it finds it's way to the front of the house by the afternoon where you may wish to relax and read a book or perhaps enjoy a glass of wine on the veranda. There is a spa bath as well as a shower in the tiled bathroom for you to relax in before or after your days activities if you wish to do so. If it is privacy, ambience, comfort and close proximity to all Greytowns attractions we think Roses on West ticks all those boxes. Departure needs to be no later than 11.00am as the cottage is serviced at that time. Only a short drive to the many vineyards that the Wairarapa is renown for. Every possible detail attended to. The cottage is so warm and friendly the moment you walk in. Everything is available and the look, feel and cleanliness is superior. The gardens are great with many areas to sit and enjoy the view and the sunshine. This is our second stay and though a few years apart the quality has been maintained. We are pleased that you had a good experience at Roses on West. Thank you for your positive comments and for leaving the cottage so clean and tidy we would welcome you back anytime. We absolutely loved this property, great facilities and close to town, beautiful gardens and all you need there. Would stay again definitely. Lovely touch with complimentary wine and nibbles too. Only thing we think should be added is an air con unit or fan as was extremely hot at night when we stayed. Thank you for your positive comments and for leaving the cottage so clean and tidy......we have taken on board your suggestion and will look into what can be done. Roses on West lives up to reviews. Roses on West is one of the best places my friend and I have stayed at. Comfortable, very clean, amazing gardens, close to shops/cafes and the complimentary offerings a welcome bonus. I would definitely stay again and recommend to others. Roses on West Cottage is a gem! 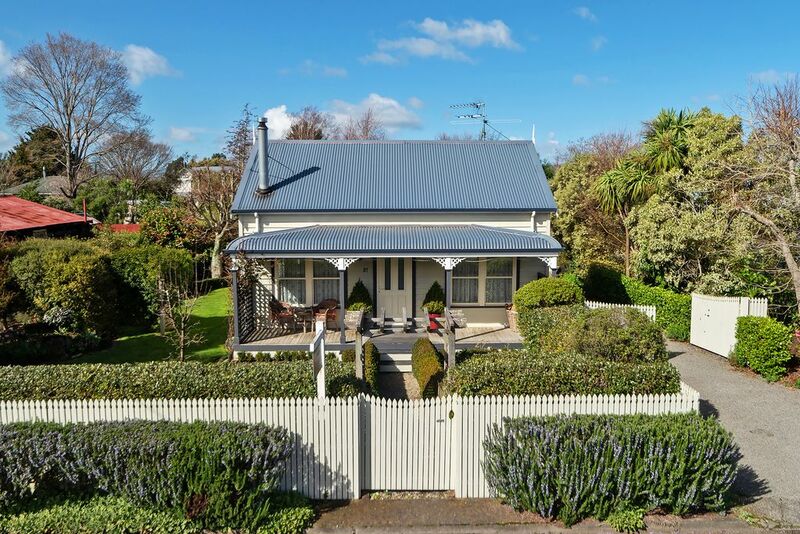 Superbly equipped, characterful and centrally located. Sublime! The cottage is a delightful blend of period charm and modern convenience. The garden is to die for. Claire and Alec were most helpful and accommodating and we would love to stay in this gorgeous cottage again. Thank you Graeme for your positive comments and for leaving the cottage so clean and tidy we would love you to come and stay again.